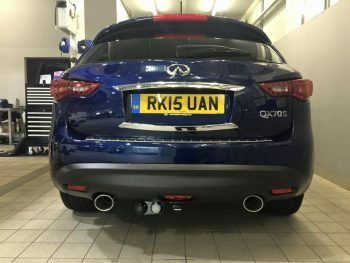 This is going to sound “Too Good To Be True”, but our costs for tow bar fitting are on average 1/3 the cost of garage main dealers! 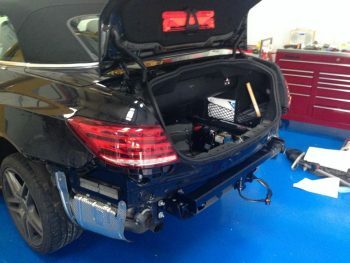 We are also experts in fitting tow bar electrics for all makes of car and commercial vehicle. 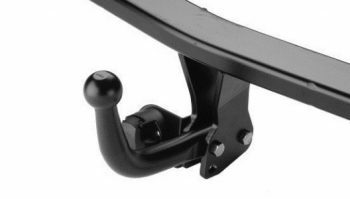 With absolutely NO compromise on tow bar quality, installation or workmanship we only fit the best makes of tow bars including Witter, Brink and Thule. Offering a friendly local service, our Thatcham location is just a short drive from Newbury, Reading and Swindon. First, we need to know what you are towing, how often, how far, to determine which type of tow bar will best suit your needs. When you call us for a price (and we hope you will! ), we’ll also ask you the make and type of vehicle you drive and the year of manufacture. 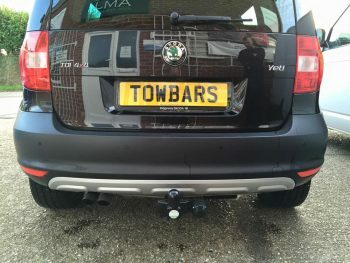 As well as a top quality tow bar product at a fantastic price, you’ll also get superior craftsmanship, because we want you to choose us again, and, recommend us to your friends and family! We also supply and fit high quality bike rack tow bars, we do not install the cheap versions. We can also show you how everything works afterwards to make sure that you are 100% confident in using your bike rack. NEVER TOWED BEFORE? If you’ve never towed before, we have great news for you – lessons are available! Many drivers admit to feeling nervous about towing, but it’s actually very easy, especially when a pro shows you how! Do you need a licence to tow a caravan? Don’t forget don’t pay dealer prices when we can supply the same product for less!